→Handling360 Video Contest Fall 2016 – Season Finale! Handling360 Video Contest Fall 2016 – Season Finale! The final round of our Fall Handling360 Video contest is here! The top six agility stories as voted by you are now in the Season Finale, competing for THREE winning spots. Our generous sponsors have donated prizes to the top three winners chosen by you. Plus, we are drawing a further two prize winners at random from all our entries, so in total we have five winners. A big thank you to our amazing sponsors! If you have just checked into the contest, please make sure to view the videos in Round One, Round Two and Round Three… each is definitely worth visiting. 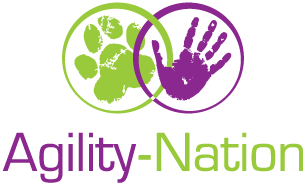 To see all of the inspiring agility stories shared by our community, visit YouTube and Vimeo and type in “Dog agility with Handling360 is”. Scroll down to watch the six videos and vote for your favourite two. Deciding on only two in the final round is the hardest decision yet. Voting will stay open until midnight Tuesday, October 18th, 2016 (Pacific Time). Best of luck to everyone! We love FitPAWS and our FitBones here at Say Yes and know that you will too! The possibilities of things you can do with a FitBone are endless and they are great for dogs of all ages. FitBones are fun and ideal for countless body awareness games. The very versatile Be Cool Solutions Dog Shade measures 2m x 2m and comes with a travel bag. This is BRILLIANT to keep in your kit for training, trialling and travelling, and for around the home! When it’s hot outside, the shade deflects intense sun and heat. When it’s cool outside, this same shade material preserves heat, holding in warmth beneath the shade. Each winner will receive a $100 gift certificate to DogWise.com – an online retailer of “All things dog!”. 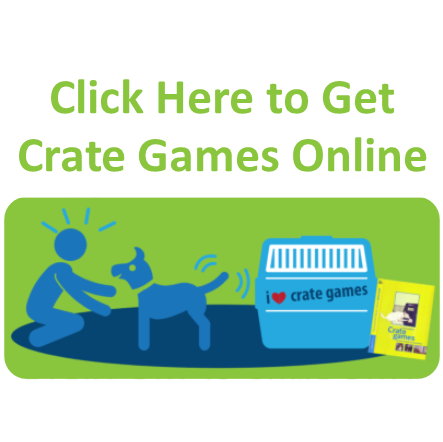 DogWise.com sells everything from books, to dog show supplies, eBooks, DVDs, and so much more! Check out the website…you’ll agree that this gift certificate will be TOO EASY to spend! The wiPet Dog Sofa made it’s debut at the FCI Agility World Championships in Spain and was an instant success! This is our new FAVOURITE dog bed here at Say Yes. The wiPet team have created an amazingly comfortable and durable dog bed that is also waterproof with a machine washable cover. This brilliant Dog Sofa is manufactured with materials of first quality and ergonomically designed for the maximum comfort of your dog. This gift pack sure has a WOW factor and features your very own H360 Bag, H360 Plush Clip Leash, Limited Edition H360 Plush Bungee Earth Ball and “New” Bungee & Squeak. 4MyMerles have you covered with their wonderful creations! Your Top 6 in the Season Finale! Here are the top six videos from our three semi-final rounds… be sure scroll down and cast your vote for the two stories that touch you most. If you are inspired to raise the level of success and fun in agility for you and your dog, be sure to sign up for my upcoming Handling360 Free Agility Workshop. Just fill in the registration box found to the right of this blog post. Thank you! Voting has now closed in the Season Finale. Today I am grateful to you for sharing the fun of our video contest and for casting your votes for the stories that touch you the most! Thank you for your wonderful comments and support of everyone who submitted a video. If you would like to focus your agility training, we have a quick and easy online quiz for you to enjoy. After you complete the quiz we will send you a gift eBook with agility focus tips based on your results. Next week I will be hosting a free online agility workshop and we have started a Facebook group in preparation; everyone is welcome to join in on what we are sharing with the agility community.